Heinrich 'Heiri' Suter (10 July 1899 – 6 November 1978) was a professional road racing cyclist from Switzerland. In 1923, he was first to win Paris–Roubaix and the Tour of Flanders in the same year. ↑ "24th Paris – Roubaix, 1923". bikeraceinfo. Retrieved 2 April 2015. 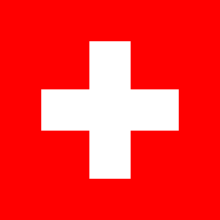 ↑ "National Championship, Road, Elite, Switzerland (Men)". Cycling Archives. Retrieved 11 March 2015.